Polar covers often contain interesting and colourful markings which reflect the long and unusual routes which they have travelled. 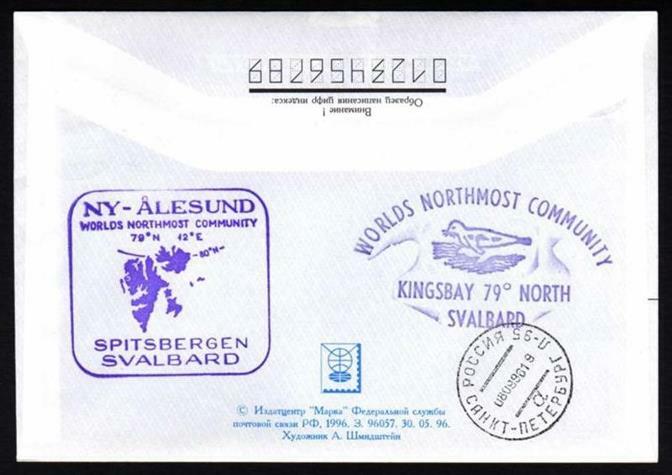 The majority of such covers relate to the Antarctic due to the permanent settlements on that continent, whilst Arctic covers are less common and only one is included in this selection. I hope that these covers will be of interest. I have included links to the relevant entries in Wikipedia for some of the places mentioned. 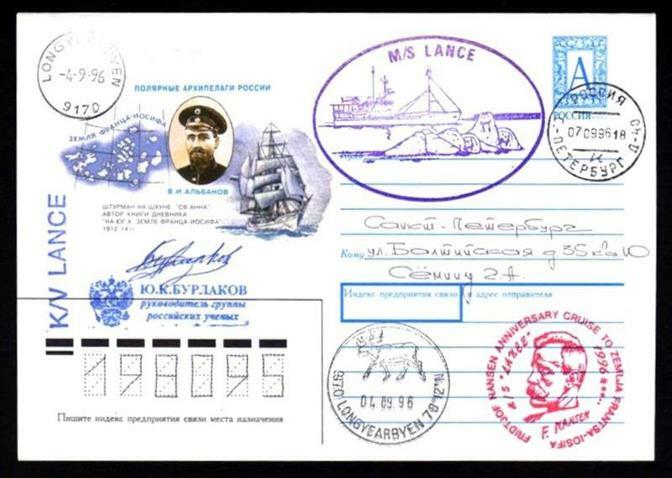 Pre-paid Russian envelope carried on the M/S Lance on its voyage to Longyearbyen, Svalbard, Spitsbergen, the world's north-most community and part of Norway. CDS marking the Nansen anniversary cruise on the Lance. Cover carried on the S.V. 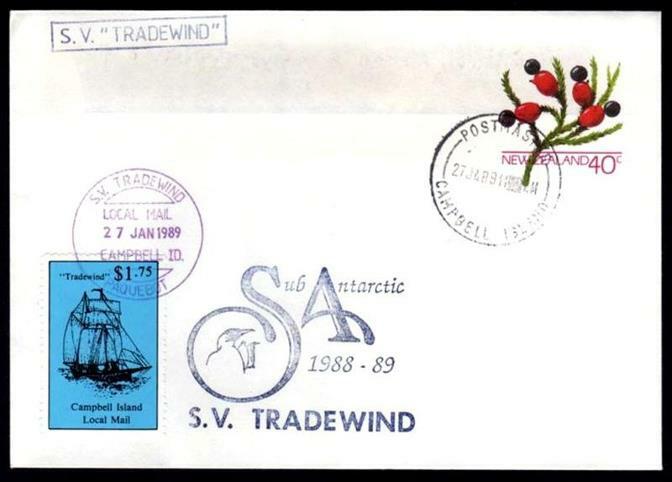 Tradewind to this sub-antarctic island which is part of New Zealand. More about Campbell Island here. More about the base here. The largest of the South Shetland Islands, it was named after King George III and was formerly part of the Falkland Island Dependencies but is now part of The British Antarctic Territory. 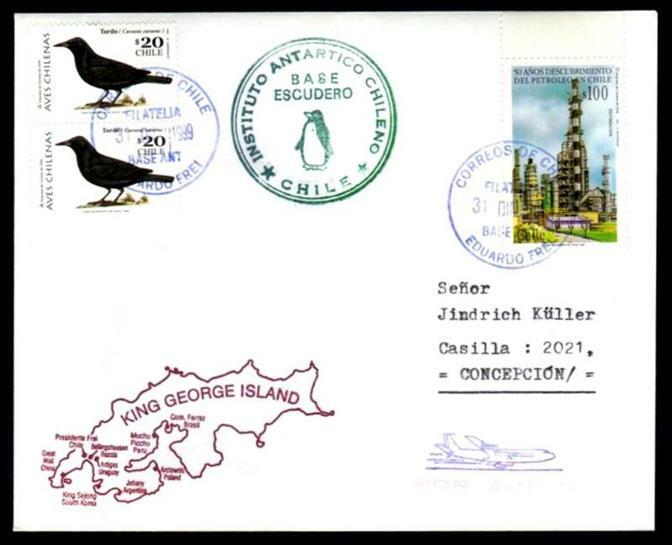 It is also claimed by Chile and Argentina and this cover is from the Chilean Antarctic Institute with marks from Base Escudero and Base Eduardo Frei. More about the Chilean bases, with a map, here. 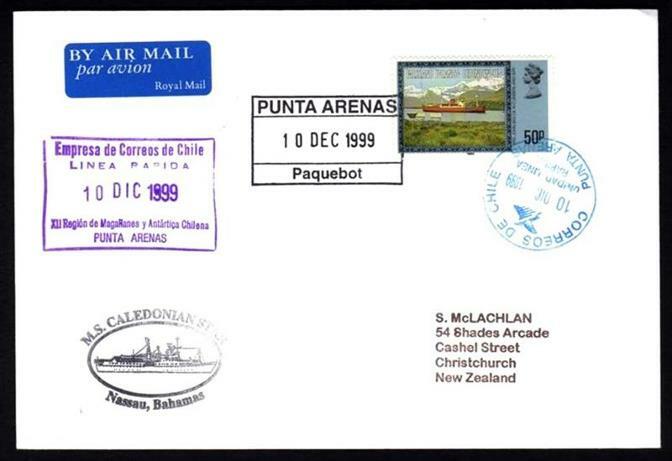 Paquebot cover from the M.S. Caledonian Star to Punta Arenas which is claimed to be the world's most southern city. Situated in the Straight of Magellan, it is 1400 km from Antarctica. More here. 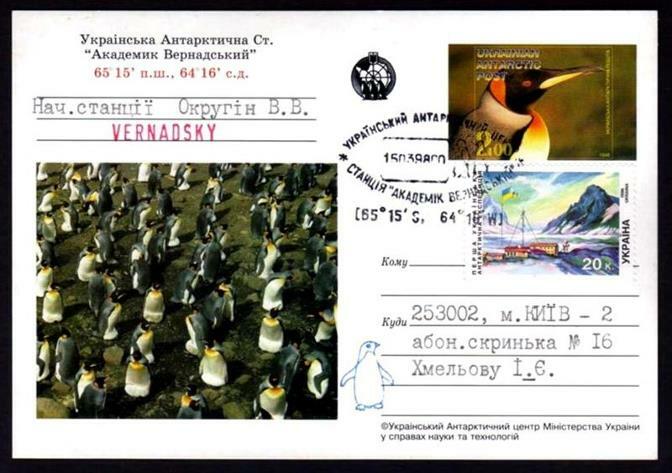 Ukrainian Antarctic Post card from Akademik Vernadsky Station, which was previously known as Faraday Base of the British Antarctic Survey until it was handed to the Ukrainians in 1996. 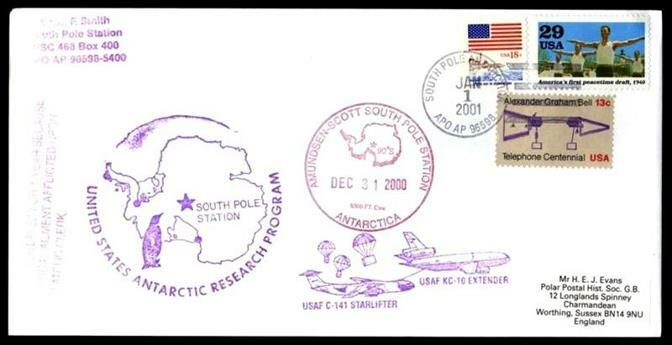 Cover from the US Amundsen-Scott South Pole Station flown in a U.S.A.F. Starlifter and bearing the cachet on the far left "This letter delayed for 1 year because of a physical ailment afflicted upon the philatelic clerk."